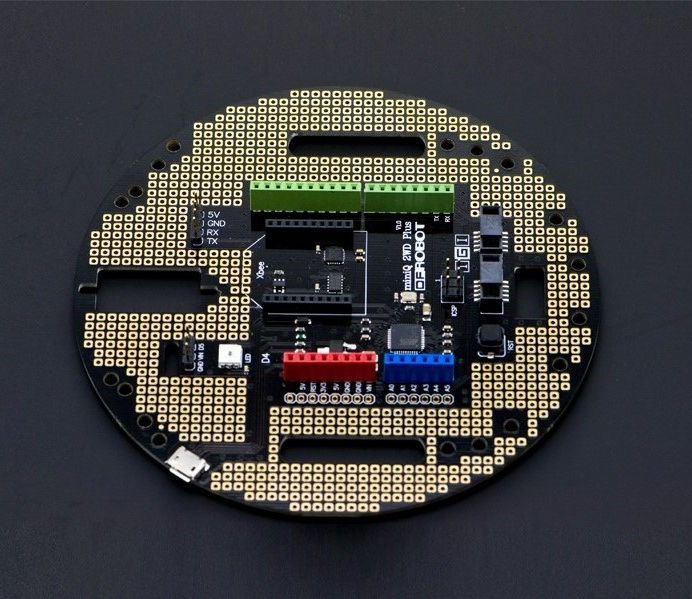 MiniQ 2WD Plus is a control board of MiniQ 2WD arduino robot. It could be fully compatible with the Arduino Leonardo, as well as various expansion shield interface. 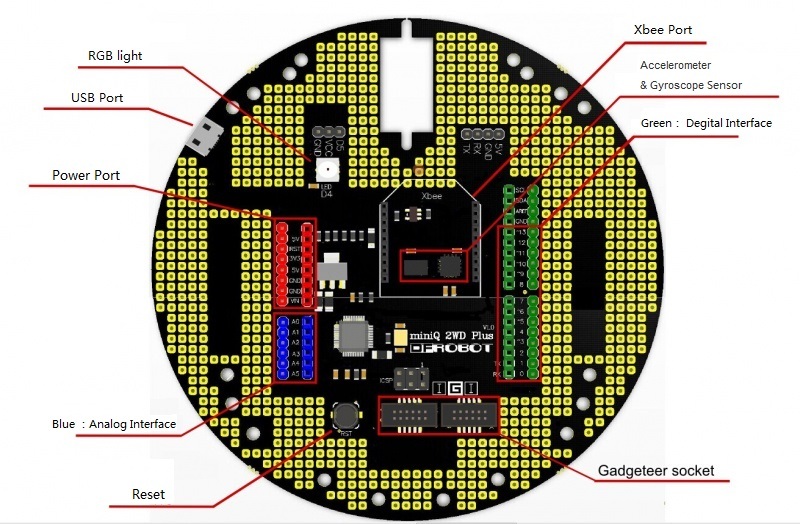 You can build all kinds of sensor module on it. What is more? It’s unnecessary to use a prototyping board because this board already has a lot of pads, which you youc plug component in. MiniQ 2WD Plus control board can be used as the main controller of desktop robot-car to set up two wheels self-balance robot,.It can also be used as MiniQ 2WD port expansion board, through Gadgeteer interface for communication between two board. That is amazing! The data which accelerometer & gyroscope read comes through IIC, and output data is compared with the X, Y, and Z axis. If you want the angle to be relative to the coordinate, you need to do the conversion. Of course, because the accelerometers are too sensitive, I believe many of you faced such difficulties that a little shake comes a big fluctuation. There is a simple example as follow for acquiring the relatively stable angle data from gyroscope sensor with angle correction and software filtering. The experiment results can be observed by the serial monitor. 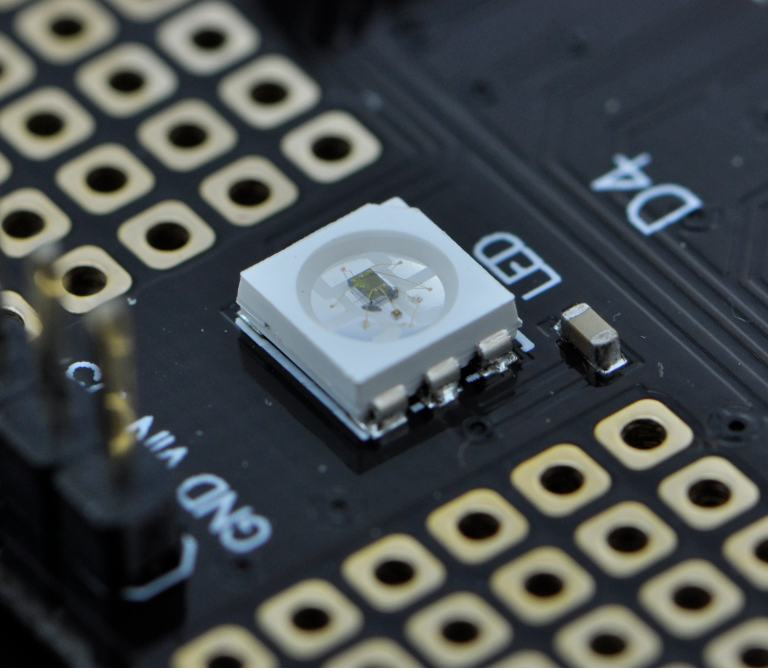 A RGB light WS2812B-4 has been put inside MiniQ 2WD plus with inner driver IC-WS2811. It can be controlled use one-wire communication method . The sample shows color changing and flicker. MiniQ 2WD and the PLUS were meant for each other.MiniQ 2WD PLUS and MiniQ 2WD use IIC to communication, and they are connected by the Gadgteer interface . MiniQ 2WD PLUS is the host, and MiniQ 2WD works as the slave, MiniQ 2WD PLUS receives command data by wireless, then analyzes and sents it through the IIC to make command MiniQ 2WD do corresponding action. **Notes：**There are 4 models in the "movement function": "patrol line model", " light hunter model", "Obstacle avoidance model”, and "remote control model". The parameters of the sensor in **line hunter mode** can be adjusted, that is to say, the car can adapt to each different scenes. The specific operation is as follows, when entering the patrol line mode, the car did not work directly. It needs regulation first (adjusting using three buttons, KEY1、 KEY2、 KEY3, on the front of 2WD). Press KEY1, then you can adjust the first (from left to right) sensor .Then continue to pressing KEY2 until the RGB light becomes red. (If then press KEY3, RGB light will turn green again) Press KEY1 to determine and continue to regulate the next one. Note: After the middle sensor into red, press KEY3 to change it back to green, because you need this sensor to follow the black line.) Repeat five times to regulate all the sensors. Of course, when you in the regulation of time, you need put it on the line. After five sensors adjustment, continue to press the KEY1 . 2WD will exit regulation mode, and enter working mode. Press the KEY1 if you want to adjust again. **Remote control mode** uses the remote controller attached in MiniQ 2WD kits, using "SWITCH", "VOL ","VOL-", "SLOW", "SKIP" key to represent the "stop", "go forward", "go back", "turn left", "turn right".
! [DFR0302_ 2wd.jpg](https://raw.githubusercontent.com/DFRobot/DFRobotMediaWikiImage/master/Image/DFR0302_ 2wd.jpg "DFR0302_ 2wd.jpg") There is a sample code as follow , the entire application also need **["LCD12864 Shield for Arduino"](https://www.dfrobot.com/product-1084.html)** as a display and a controller with the integrated rocker .This sample demonstrates a MiniQ common 2WD functions: buzzer, light, line patrol, light hunting, avoidance, remote control function. 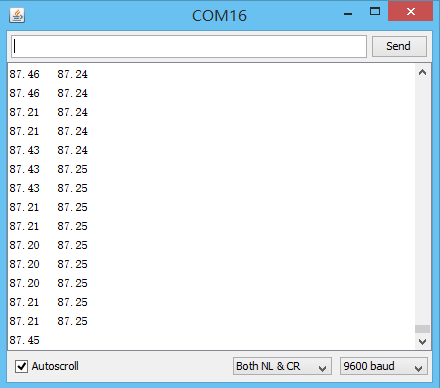 Please download [LCD library](https://github.com/CainZ/DFR0302/blob/master/JLX12864G.zip?raw=true) first. Get MiniQ 2WD Plus Control Board from DFRobot Store or DFRobot Distributor.